Both cities were developed in the era of sunbelt sprawl and both have visions of downtown revitalization. However, one has ambitions of international greatness and the other is still in search of its identity. 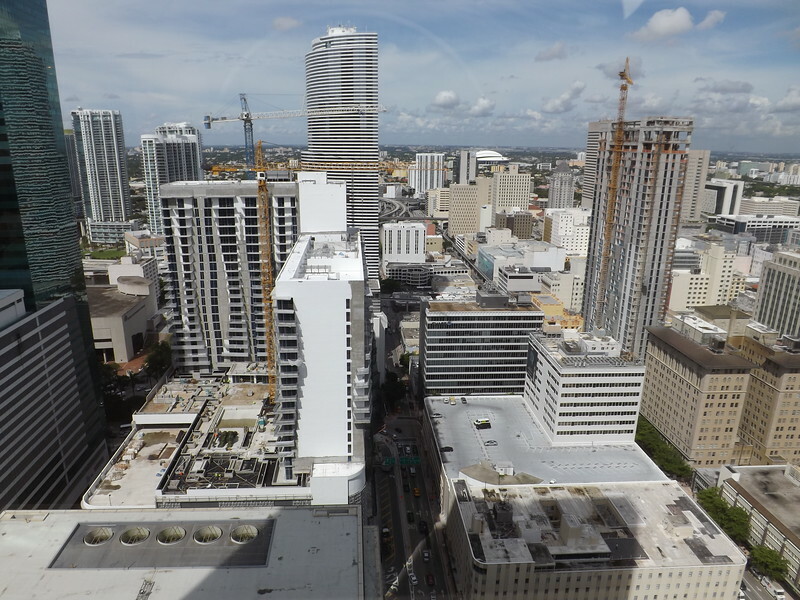 Today, Metro Jacksonville visits the downtown streets of a Sunbelt city attempting to transform itself into an internationally known walkable community: Miami. 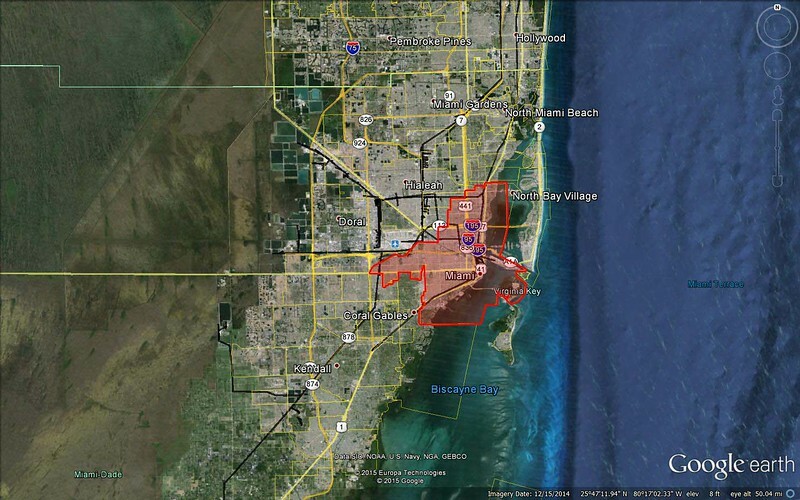 City of Miami highlighted in red. 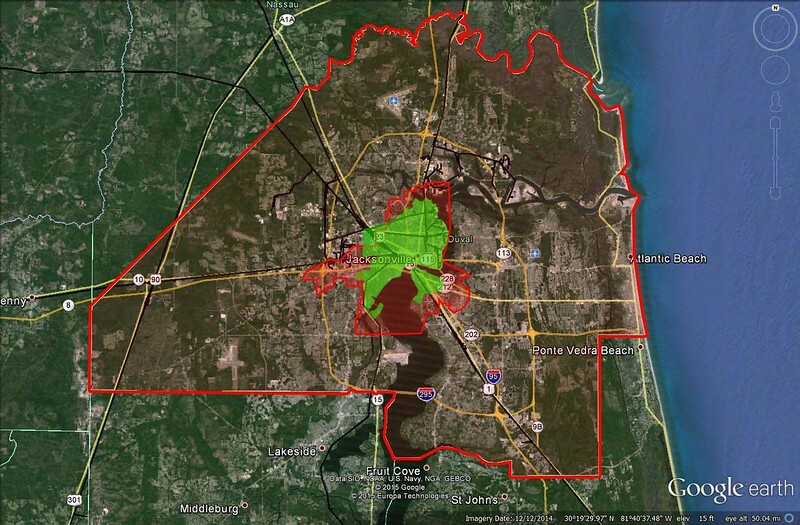 Miami's (red) city limits overlayed over Jacksonville's city limits. Jacksonville's pre-consolidated city limits are highlighted in green. *-The proposed Marriott Marquis Miami Worldcenter Hotel & Expo will include a 100,000-square-foot exhibition hall when it opens in downtown Miami in 2018. In addition, the Miami Beach Convention center has 500,000 square foot exhibition hall in Miami Beach. Who's Downtown Is More Bicycle Friendly? 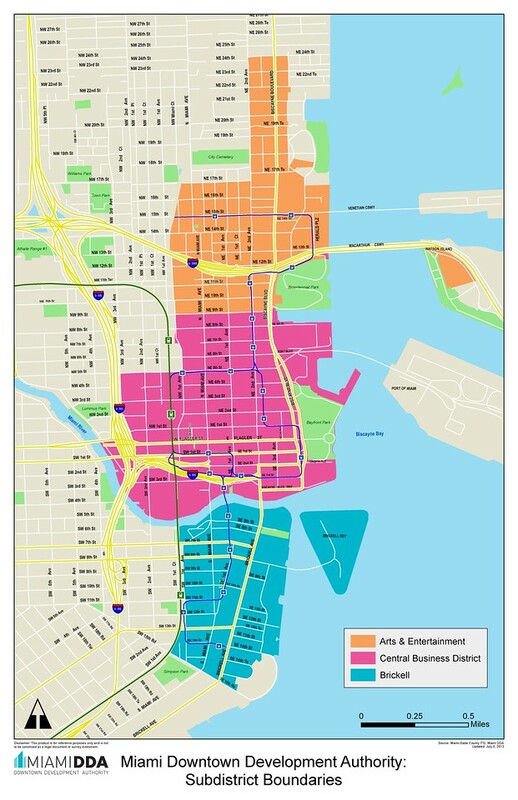 Map of Downtown Miami, including Metrorail and Metromover transit routes and stations.